Mutations in EGFR lead to over-expression of proteins and different types of cancers as cells continually and proliferate. 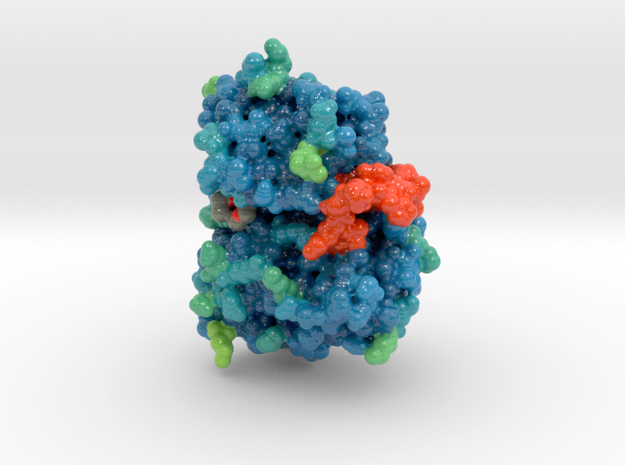 This 3D print of Mutant EGFR Tyrosine Kinase visualizes the protein’s A-loop (orange) in its active conformation. Mutations in EGFR lead to overexpression of proteins and different types of cancers as cells continually and proliferate. Advancements in drug design allow for the continued binding of small molecules despite mutations. These compounds prevent kinase phosphorylation and down-regulate EGFR signals. Cancer isn’t the only issue. Psoriasis, eczema, and atherosclerosis are all implicated in over-expression of EGFR. This is not well understood yet, but likely due to over-expression of inflammatory cytokines that initiate EGFR phosphorylation. A common strategy of small molecule inhibitors is to identify receptors and examine their intra-cellular kinase domains. In many cases, this prevents aberrant behaviors in the receptor and mitigate the develop of disease. 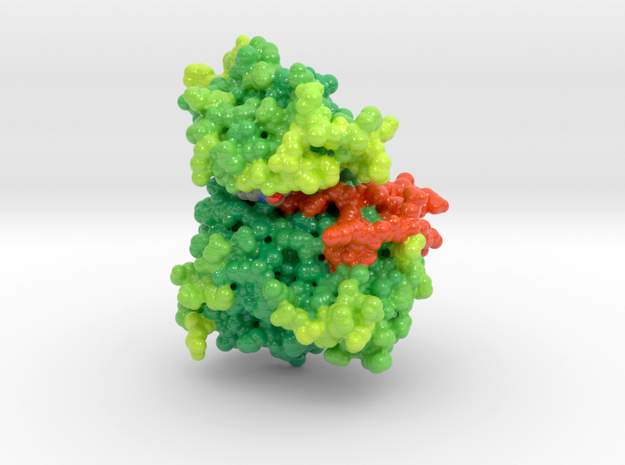 An easy target for this inhibition process is the kinase domain’s ATP binding pocket. It has a high affinity for its ligand and phosphorylation of its tyrosine residue a requirement for signal propagation.